Are you doing everything you can to protect your personal information online? Transacting business online has become second nature for most people. On a given day, you might use the Internet to shop, bank, pay bills and socialize. Maybe all at once! 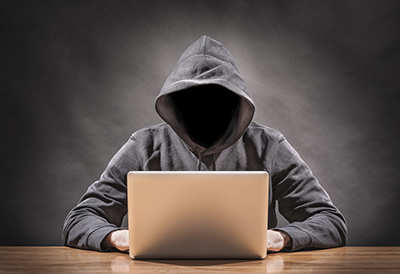 While it’s great to be able to accomplish so much from your computer, tablet, or smartphone, it’s important to remember that there are criminals online, too. Hackers often capture the public’s attention, because they are frightening in their capabilities. They can steal the personal information of thousands of people in one shot. While you should absolutely take steps to protect your information from hackers, it’s also important to remain aware of the other risks you face online. When criminals can’t hack into the databases of large institutions, they turn to other means to steal personal information. Learning the warning signs of identity theft is key to keeping your personal information and your Calgary business safe. Data protection is something of a cat-and-mouse game. Thieves find a weakness to exploit, the public becomes aware of that weakness, and the process repeats itself, with thieves simply finding another way to attack. The average Internet user today is fairly sophisticated when it comes to data protection, so criminals have to search for increasingly clever ways to steal information. Phishing scams are still common, and they’re more elaborate than ever. Criminals are skilled at crafting email messages, websites, and social pages that look like they’re from respected institutions, and using those fakes to steal real personal information from Web users. Phishing happens on the phone, too. The Canadian Bankers Association reports that criminals will even create fake “call centers,” to make the scam seem more authentic. Dangerous downloads are always a threat, and the risk now extends to your mobile devices. Just as with phishing emails, criminals create apps that look like the real thing, but are really designed to steal your sensitive information. Awareness is the key to keeping your information safe from thieves. That means understanding the tactics that criminals use, and always checking twice if you encounter a suspicious request for information. A little caution in the short term will save you a lot of headaches in the long run. Never share log-in names, passwords, or other personal information by email, even if the message looks exactly like one sent by a trustworthy institution. Your bank or credit card company will never use email to ask for this information. If someone does, they’re trying to steal your information. The same goes for website forms. When you provide personal information, it’s important to understand exactly where it’s going, and how it will be used. It’s always smart to create backups of your key files and programs. If the security of a device is compromised, you don’t want to be scrambling to save your most important stuff. Make sure that your anti-virus software is always turned on, and update it regularly. Your software provider should release regular updates to combat new threats. Create strong passwords, and don’t store them on any electronic devices. If you absolutely must keep a written record of your passwords, put it on paper and hide it somewhere safe. When in doubt, don’t respond! If a call, website, or email message raises red flags, avoid it. Contact the institution in question through a safe channel, and alert them to the potential scam. Teach your children, partner, employees, and anyone else who uses your devices about the risks of information theft, and the best ways to stay safe online. Information thieves usually look for the path of least resistance. They target large groups of people, knowing that they’ll have a few successes, even if the vast majority of users don’t fall for the scam. Don’t make yourself an easy target. By understanding the tactics used by information thieves and staying alert to potential scams, you’ll take a major step toward protecting your personal information from those who wish to steal it. Emphasize Design has the expertise you need for effective online marketing for your Calgary business. Learn more about our recipe for success, and take your business to the next level.